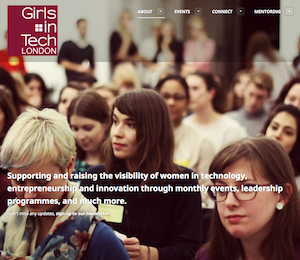 Thankfully, the Girls in Tech UK Mentoring Programme members don’t mind being called girls, ladies, women, females or perhaps even non-men. Indeed no, the important aspect of the group (and of this programme) is that it seeks to achieve its goal of providing women with tailored mentorship from key figures in the technology industry to help progress their careers. Over the course of the programme 60% of the mentees say they saw an improvement in their negotiation skills, which led to almost half (47%) achieving a promotion. The programme consisted of expert panels on a variety of topics including negotiation, presentation and leadership skills, alongside speed mentoring sessions. Expert female and male mentors were drawn from companies such as Google, Unruly, Lloyds Bank and Cult LDN. • Following a key session from Amplify coach Stewart Bewley, 91% of the mentees report their presentations skills have greatly improved. • With networking opportunities at each mentoring session, 70% of the mentees are now totally at ease with networking. • As a large proportion of the mentees have made significant changes to their careers since the start of the programme, 80% state they would not have achieved what they have without the mentoring programme. “The fast growing tech industry is well placed to lead the way and encourage more women to reach the top. Mentoring young women is a vital effort in achieving this goal,”said Baroness Joanna Shields, Minister for Internet Safety and Security, UK Government. “It’s my privilege to support Girls In Tech,” she added.